Last week the Transparency International (TI) consultation on guidance for anti-bribery due diligence in mergers, acquisitions and investments closed. A copy of the draft guide is can be accessed here. Transparency International is a force for good and perform invaluable work in the anti-corruption community. We read publications put out by TI with great interest. The draft due diligence guide sets out what TI believe to be best practice in the context of due diligence on investment and Mergers and Acquisitions transactions. The document includes very useful guidance which is worth considering in the run up to undertaking a transaction. However, we would be concerned if there was a suggestion that the recommendations in the TI draft should be considered the minimum which a business undertake before any M&A deal or investment. 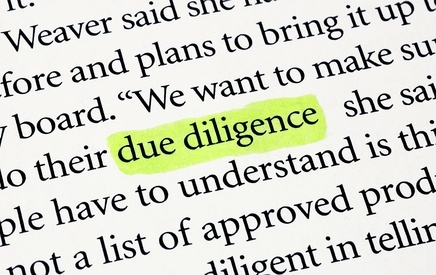 Due diligence is a critical part of Adequate Procedures. But, as Howard Sklar once eloquently put it, just how much diligence is due? This will depend on a range of factors from the business sector in which the target (and the acquirer) operates through to the locations in which the target operates and everything in between including how much time and access an acquirer or investor actually has. We certainly advocate that Anti-Bribery & Corruption due diligence is undertaken but what is appropriate in the acquisition of a business with a few employees operating exclusively in say, the UK, will differ from that required in relation to a global corporation with operations in various jurisdictions at the bottom of the TI corruption perception index. Add to this different transaction scenarios. For example, on a hostile takeover it is likely only very limited information will be available. Similarly, in a competitive bid situation with a data room and hard deadlines the ability to conduct exhaustive due diligence is likely to be limited in practice. So, while the importance of due diligence in undertaking transactions should not be underestimated, the practical reality of doing deals should not be forgotten. A point the SFO themselves acknowledge. We met with Richard Alderman earlier in the year and asked him the SFO’s position given that transactions often have to be undertaken with very little time and reported on it back in June. “A key problem from an M&A standpoint is time. The reality is that each specific transaction will need to be looked at individually and the level of due diligence which is “due” and possible before the deal is done considered on a case by case basis. As was always the case before the Bribery Act, the investor or acquirer will ultimately have to take a commercial decision on any deal balancing risk and a variety of other factors when considering whether to do a deal, in what timeframe and for how much. That hasn’t changed. The Bribery Act and anti-corruption risk is simply something else to factor in.